During this week's Parsha of Chaya Sarah, we learn about the first formal shidduch to take place in history, of the union between Yitzchak and Rivka. We know how critical the time before marriage is and the importance of taking advantage of the opportunity we are given as independent beings to work on our selves, refining our character traits so we can bring our best and most developed selves into a union with our partner. In creating a oneness and completeness, so to speak, we first need two halves that are whole, in and of themselves, in order to create a wholeness together. Two halves make a whole only works if each individual is whole in and of themselves, before they can be united as one. In order to reach this healthy place of unity and marriage, we advocate for the importance of emotional well being for each individual student. 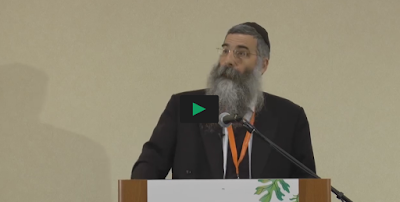 It is an apropos time to share this wonderful class by Mayanot Senior Talmudic and Chassidut lecturer, Rabbi Boruch Kaplan on the chassidic formula toward emotional well-being. We hope you have a wonderful Shabbat! To watch the class click here!